Lancashire-based Mistral Racing will return to the 2015 Classic TT presented by Bennetts with a three-pronged attack on the four-lap Motorsport Merchandise Formula One Race. Steve Mercer, Jamie Coward and sensational 2014 TT Privateer Peter Hickman, the TT's fastest-ever newcomer, will all campaign ZXR750 Kawasaki's and are sure to be major contenders for the podium places. Both Mercer and Coward have previous experience with the team, Mercer taking fourth place in the corresponding race in 2014, after posting a 121mph+ lap, while Coward was on board one of the 'Green Meanies' in 2013 only to be forced to retire on the third lap whilst in fifth place. He was due to ride for the team again last year only for injury to force him to withdraw, ironically being replaced in the team by Maidstone's Mercer. 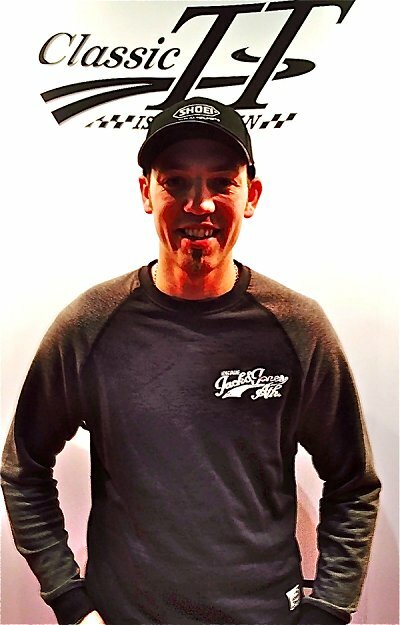 Hickman, meanwhile, joins the team on the back of a stunning debut in June last year when he not only scored a best finish of eighth in the RL360 Superstock Race but also lapped in excess of 129mph on his way to taking 11th in the PokerStars Senior TT, thus becoming the fastest newcomer in TT history. With no British Superbike meeting being held on Bank Holiday Monday this year, Hickman is the first BSB rider to confirm his participation at the Classic TT with more expected to follow. Run by highly experienced Ian Harrison, the squad is again expected to run their immaculate machinery in Team Kawasaki France replica colours. Huge supporters of the Classic TT, having fully embraced the spirit of the event since its inception in 2013, they will again have one of the greatest presences in the paddock as well as being one of the most professional. "I'm really pleased to be able to race at the Classic TT and with such a great team and motorcycle. I'm really keen for the extra track time as I still learn the circuit, but I won't be going just to make up the numbers and I know the bike is capable of a top result. I'm, grateful to Ian and the team at Mistral Racing for the opportunity and I'm going to be giving it my all to get them a result to repay their faith in me."